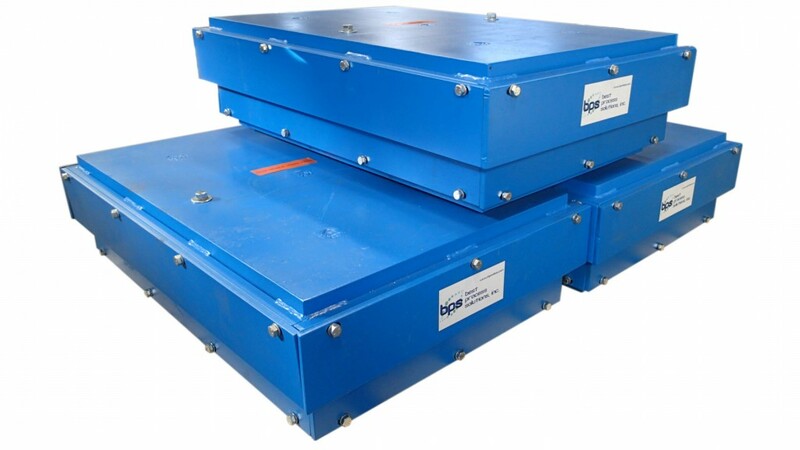 BPS shredder isolation mounts are designed to reduce vibration and shock from impact loading, which are the major causes of wear and fatigue. BPS shredder isolation mounts are designed to reduce vibration and shock from impact loading, which are the major causes of wear and fatigue. These heavy-duty units are located between the main shredder assembly and the concrete support foundation. The units feature high-impact side guards and heavy-duty mechanical down stops. They do not require hydraulic dampening fluid and are virtually maintenance-free due the elastomeric isolation element.